a strong possibility for Sunday, Lorenzo stressed that he has a poor feeling, he will be content merely to get through the day without an accident. "If it is law, will depend on lot on the feeling," Lorenzo conceded . "If the feeling is good, knowing that I am injured, I will try to do my best.
" If the feeling is not so good and I need to take so many risks to be competitive, maybe is better to save a little bit the day and not to crash to get lost again.
" 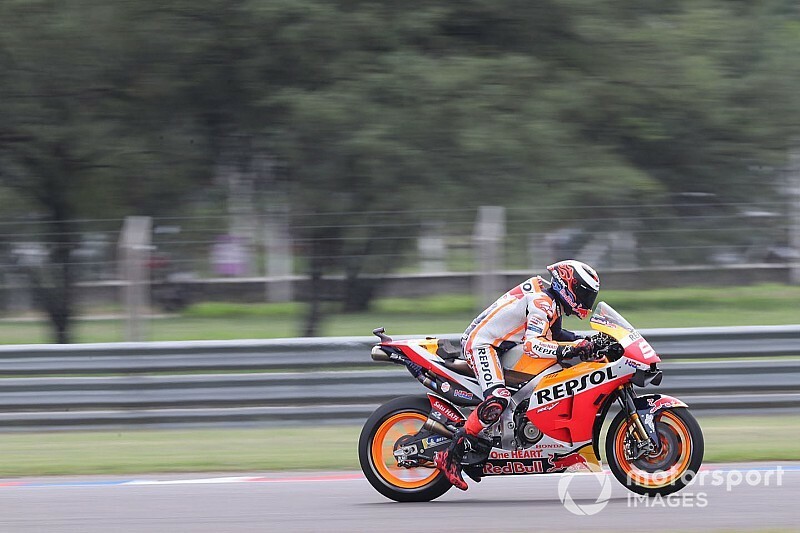 If it is dry, try to ride a little bit better , more of the bike, improve the little bit of the position on the bike in the warm-up, and just try to get closer than this one second that i get from Marc [Marquez]. " 1th-fastest time in qualifying, but had his best lap for running wide at Turn 14, which he admitted to being a "fair" penalty. "I went a little bit wide and I touch the green zone so they take away the first fast lap that was the fastest, this made me go back, but doesn't change so much, "he said.
" I will be a little bit more right on the start, little bit behind, but doesn't change five or six positions, it's not a big drama. Was fair to lose this lap. " Comparing himself to his teammate, Lorenzo said that in a few places he was faster than Marc, but on others "he loses so much still"
"I need to understand these areas what is happening, it is difficult to improve on the warm-up and the race but for next tracks and the future will be good information. "